After four weeks of intensive planning and discussing in March 2018 with our fellow Gamies (aka GAME students) in Kiel, Team Madeira finally arrived on the island of Madeira in the beginning of April. Who is team Madeira? 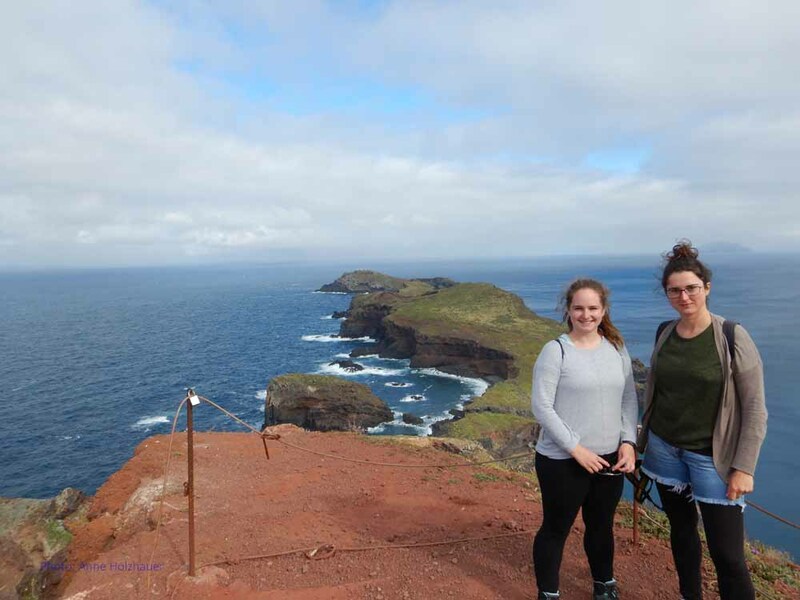 It is Anne, who is studying Geoecology at the University of Potsdam, and Felicitas, who is studying Biological Oceanography at GEOMAR in Kiel. Together, we will investigate in this year’s GAME project whether ocean warming has an effect on the diet composition of marine grazers. After our arrival, we were welcomed by the team of the Canning-Clode Marine Lab, which is part of the Marine and Environmental Science Centre “MARE”. Our Mentor João Canning­-Clode is also a former Gamie and the whole team has been so helpful from the first moment on! The laboratory is very new and we found almost everything we needed already at site! We also owe a thank you to last year’s GAME students Joana & Katrin, who installed the water baths which we will be using. You saved us a lot of time! 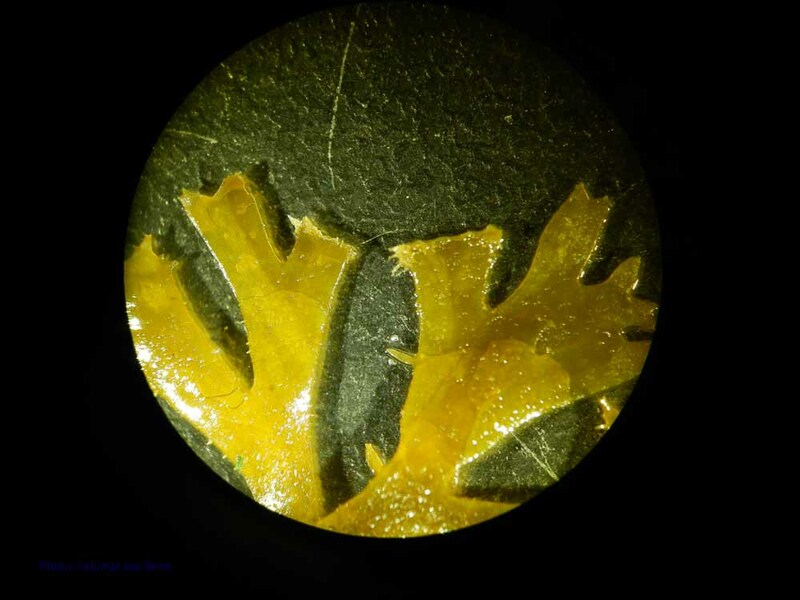 Our plan, which we developed and fine-tuned during our time in Kiel, was to use one species of marine snails and to find different macroalgae as potential food for the snails. By this, we want to investigate if the snails will change their preference for certain algae with increasing temperature. So, we had a plan, a lab and an army of friendly people to help us if needed; nothing could stop us, right? 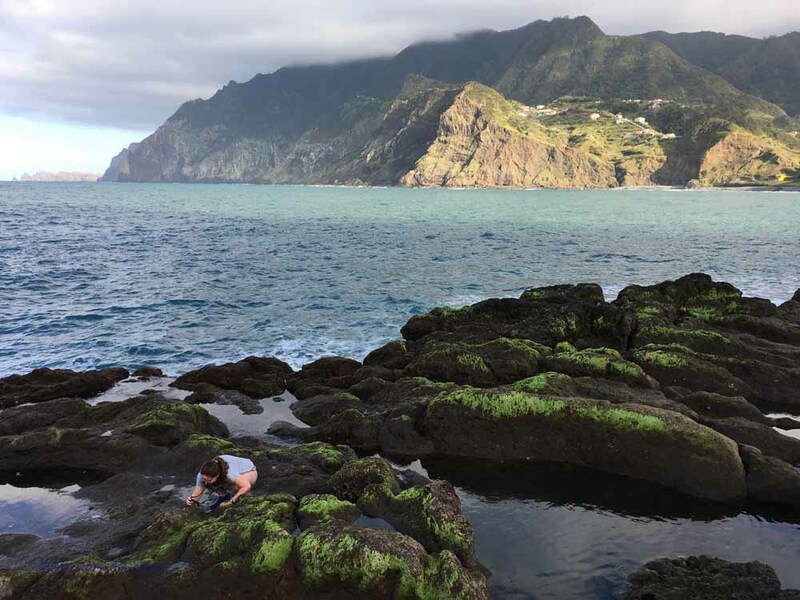 Well, actually it turned out that it is not that easy to find suitable snails and macroalgae on Madeira, because the waters here are very nutrient-poor. So, our first task was to go snorkeling at different beaches to collect some snails, which we potentially could use for the experiments. Admittedly, a rather pleasant task! Despite the water still being a little cold and the locals staring at us for swimming in “winter”, we found 4 different snail species (Hexaplex sp., Littorina striata, Columbella sp., Osilinus sauciatus) we could possibly use and transferred them to our lab. Anne is collecting algae at the pier in Quinta do Lorde. 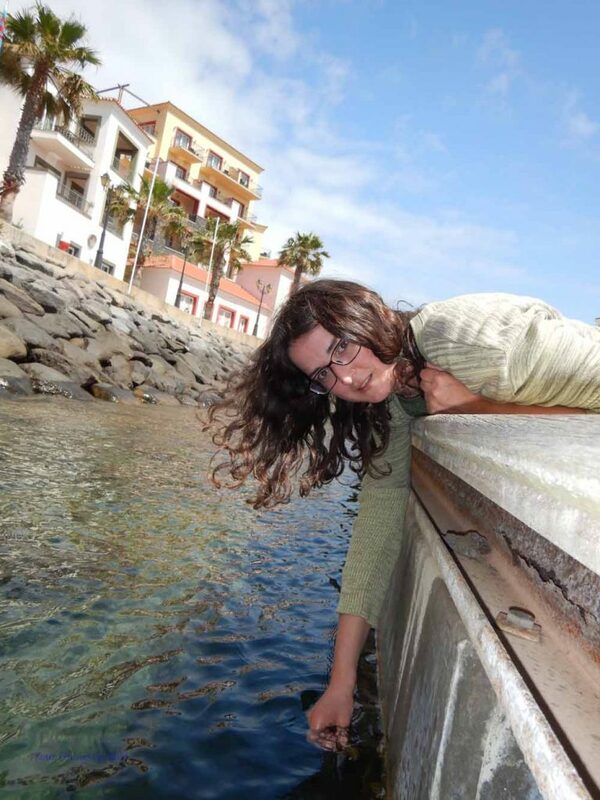 In Porto da Cruz, in front of the stunning landscape, Felicitas is collecting algae in the tide pools. This is Osilinus sauciatus, also called Caramujo by the local people. 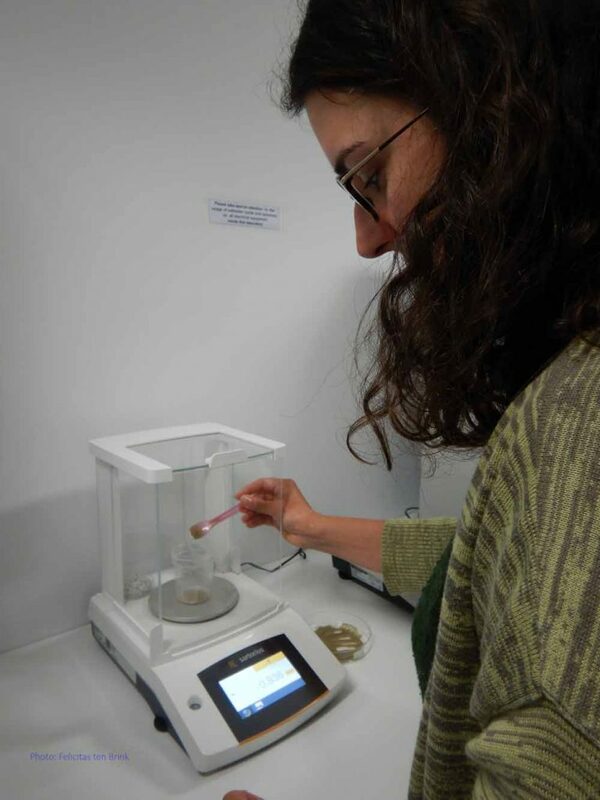 In the following week, we already started our first pilot-studies with the four different snail species and experimented with different kinds of food, such as live algae pieces and food pellets made from algae powder. At first, our snails did not seem to be very impressed with our efforts and did what snails do best: nothing. 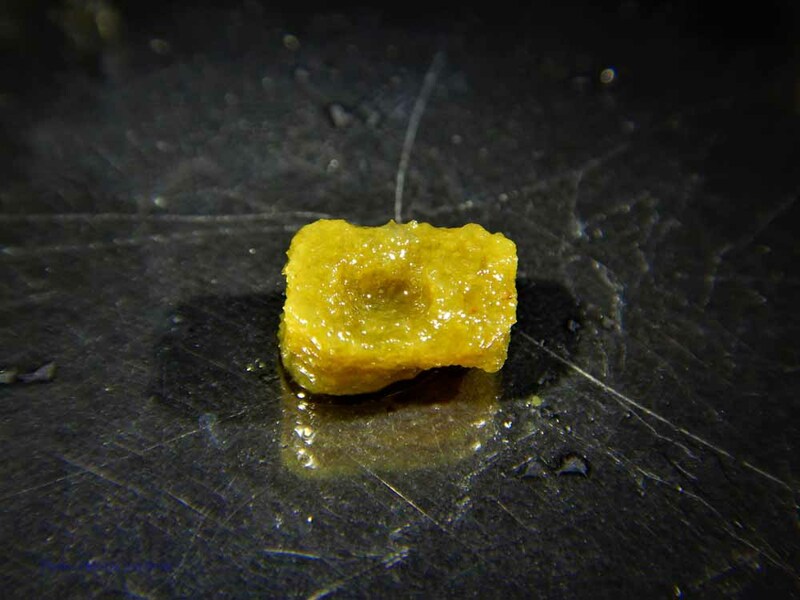 But after some laboratory acclimation time and some changes in the shape of the offered food items, we could finally observe bite marks on the algae and on the pellets! We found out that the snails prefer flat pellets instead of cubic ones. We also cut the algae in quadratic pieces to make it easier to spot feeding marks. 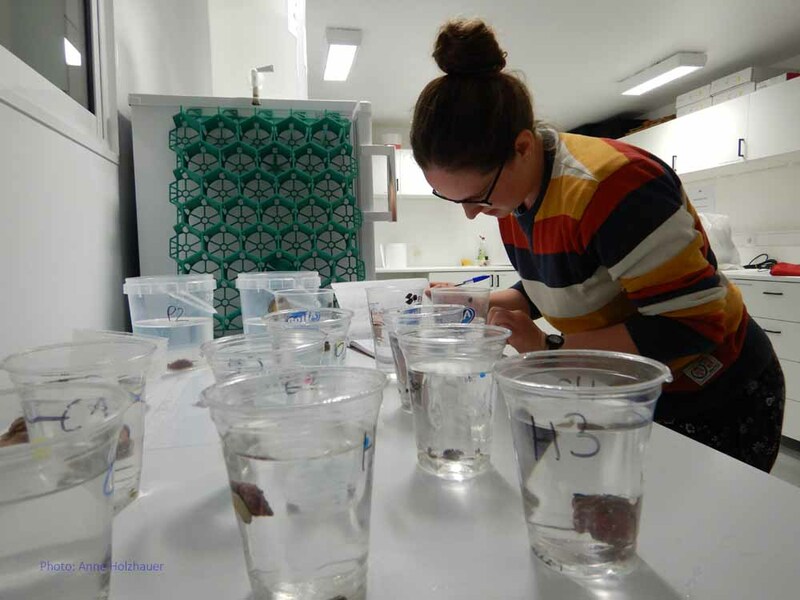 Since the beginning of the experiment, we checked the behaviour of the snails every 48 hours, for example if they sit alone or close to other snails, if they sit in or outside the water, if they move or move not, if they have stretched out their tentacles or not, if they have excreted or not. Right after this, we changed the water in the cups and offered them new food pieces. All of the four snail species we tested liked the algae pellets the most. Besides checking the snails we also inspected the algae for feeding marks under the microscope. It was sometimes a challenge to find the little feeding marks of the small Littorina striata with a shell length less than one centimeter. In the front you can see the plastic cups. In each cup, we have either one, two or three snails, depending on their size. Felicitas is checking the behaviour and condition of the snails. Anne is weighting the Ulva powder for making pellets. 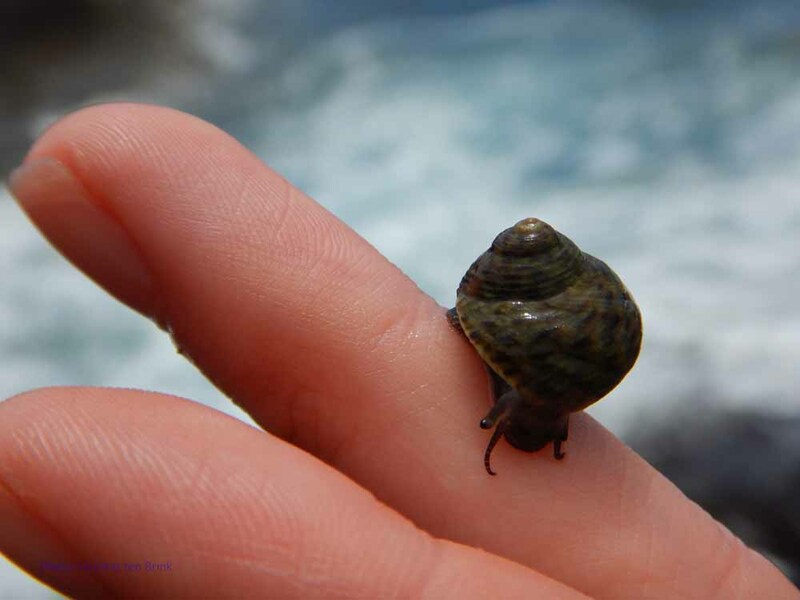 This week, we plan to install the aquaria in waterbaths with a heating system and then we will heat up the water by a few degrees to test if the snails keep on feeding at elevated temperatures. Besides working, we also had the opportunity to explore the island. We went to the capital Funchal for the annual Flower festival, which is a big celebration with a colourful parade and got the chance to do some hiking. Right in front of our door starts one of the most beautiful hiking trails on Madeira, that leads to the peninsula São Lourenço. The approximately 7 km long hike brought us over a spectacular rocky landscape. The photo 7 shows the view back to the north coast and you can almost see the western end of the island. Hiking on the peninsula São Lourenço. 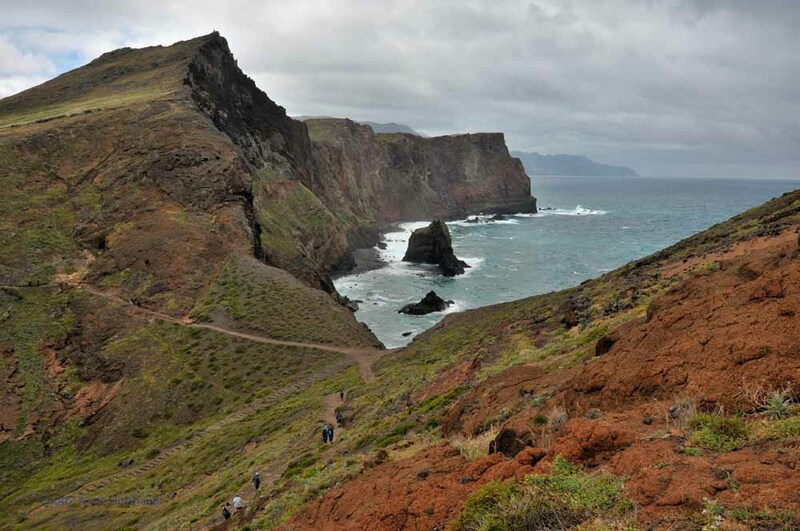 The photo shows the view to the north coast of Madeira. After two hours of walking and taking pictures, we reached the summit of Morro do Furado at 160 m above sea level. 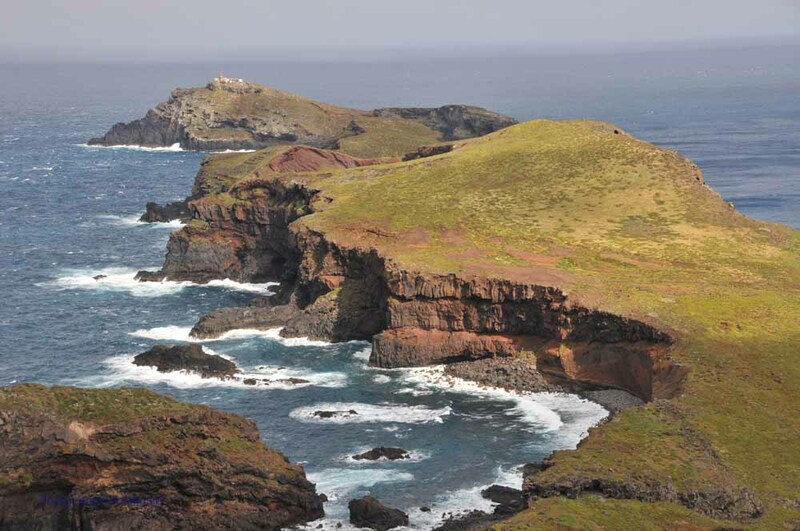 From there we had a fantastic view over the easternmost point of the island, the lighthouse on the Ilhéu do Farol. The bizarrely shaped rock formations are brightly coloured in red, brown and black and covered with green grass. The view to the lighthouse, the most eastern point of the island. Finally, we reached the highest point. If the stunning nature of Madeira did not convince you of the island yet, we will also introduce you to the local food! You can find all kinds of fresh fish and seafood as well as grilled meat on a laurel stick. They also eat different kind of snails! We tried some but they reminded us too much of our little lab snails. Our personal favourites are Bolo de Caco, flavourful bread garnished with a lot (!) of garlic butter and “Espada”, the Black Scabbardfish which looks terrifying when alive but is quite tasty on a plate. 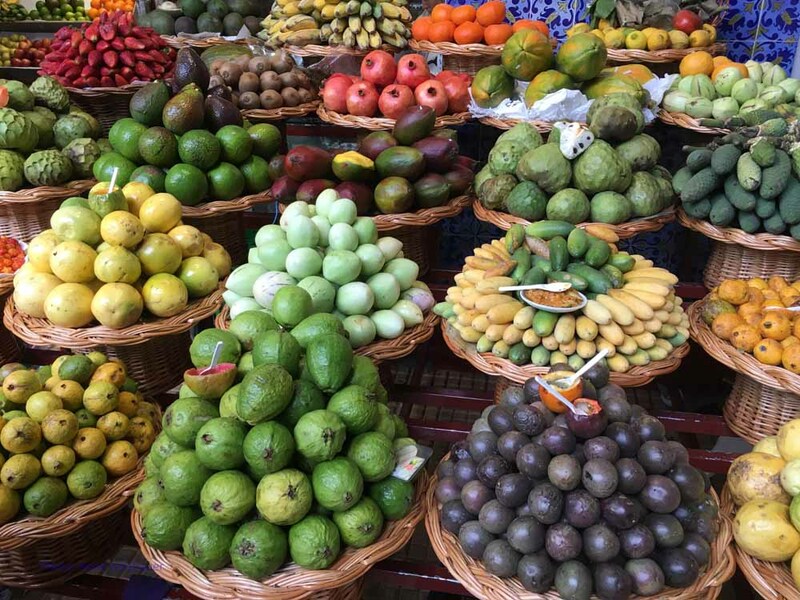 Also the tropical fruits are delicious and the choice is very diverse. There are about 5 different types of maracuja and tropical fruits we never saw before like anona and philodendron fruits. The people of Madeira are very kind and welcoming, and even though none of us speaks Portuguese it happens that we have chats with local fishermen (“olá”, “peixe”, “caramujo”, “obrigada”) or try some fresh fruits at the side of the road. We wish the other GAME teams good luck for the next month of research!